Christina encourages Mike to get his hands dirty while InLab faculty and students plant flowers in our courtyard. Greenwich High School Innovation Lab is teacher-led with the support of administration. Teachers are organized into two areas, Humanities and STEM. Coteaching is common and both areas are linked closely to a year-long thematic arc. Teacher collaboration and planning is scheduled in teams. Student projects are managed by either the Humanities or STEM team, but input and feedback is received from all teachers. Teachers also share responsibility for the Design Studio elective. Any email to ghsinnovationlab@greenwich.k12.ct.us will reach all ten team members. 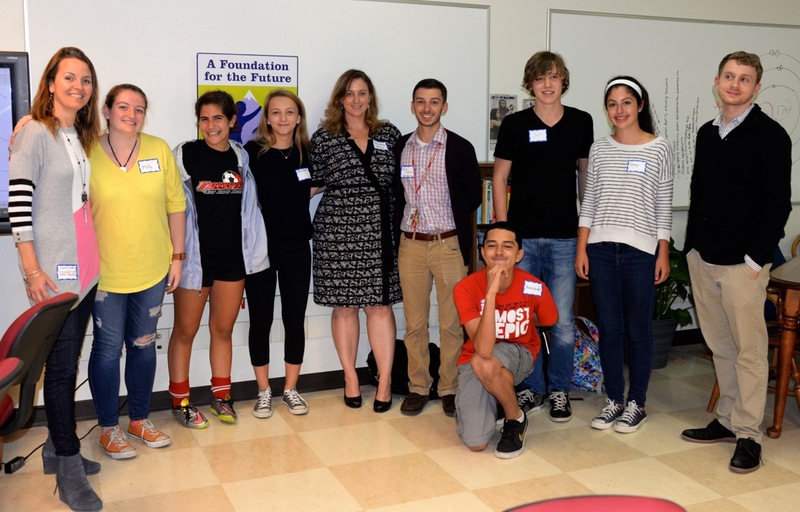 A Reaching Out Grant from the Greenwich Alliance for Education supports some materials, projects, and the Physics R&D for the inaugural year of the program. Students and teachers at the annual Greenwich Alliance for Education Grant Reception (Fall ’15). 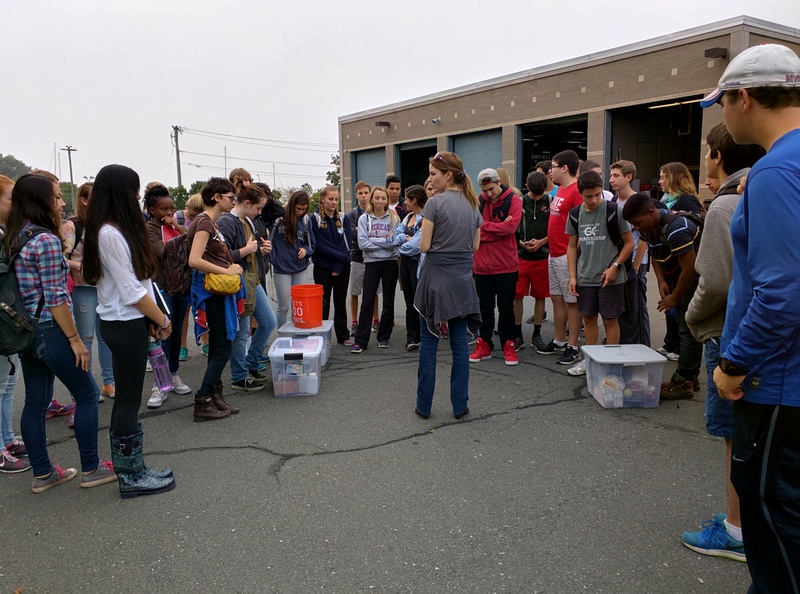 Dr. Sarah Goldin talks water quality with students at Greenwich’s Waste Water Treatment Plant (Fall ’15). Research & development in 2014-2015 was supported by a very generous Reaching Out Grant from the Greenwich Alliance for Education and guidance from Greenwich Leadership Partners. Our team: Michael Belanger, Sarah Goldin, Kyaiera Mistretta, Christina Shaw, Brian Walach. During 2013-2014, an exploratory team of teachers and administrators with support from Greenwich Leadership Partners did initial research and development for Innovation Lab.